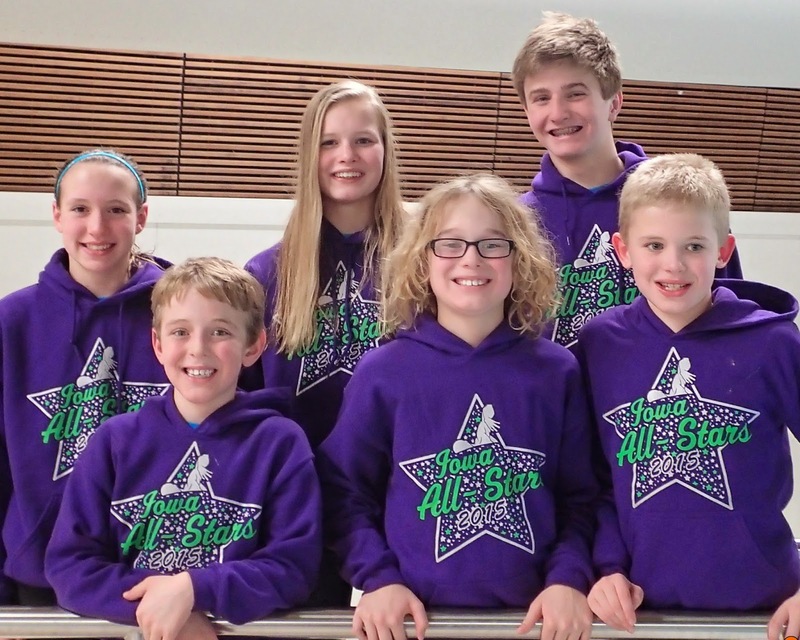 Six Pella Swim Club members were selected to represent Team Iowa at the 31st annual Midwest All Stars Swim Meet on January 10-11 in Elkhorn, NE. Iowa had 90 swimmers selected to the team from 22 clubs across the state. In early December, athletes submitted applications and the five fastest applicants in each event were named to the team. Team Iowa placed 3rd, after competing against top ranked swimmers from Colorado, Minnesota, Nebraska and South Dakota. The local swimmers scored a total of 14 points for Team Iowa. The Pella Swim Club athletes were selected for a total of 17 individual events, and swam personal bests in 14 of these races. Eli Eekhoff was selected to represent the 10 & under men in the 100 free. Kolton DeJong, 8, was tapped to swim the 50 & 100 breaststroke and the 50 backstroke. Luka DeJong, 10, represented Team Iowa in the 50 breaststroke. Taylor Jones, 10, was selected to swim the 50, 100 & 200 freestyle, 100 I.M. and the 50 & 100 breaststroke. Taylor Purvis swam the 100 backstroke for the 13-14 women. Hank Hammer represented the 13-14 men in the 50, 100 & 200 freestyle, 200 I.M., 100 butterfly and 100 breaststroke. The athletes will build on this experience as they prepare for the Iowa Swimming State Championships held at the end of February.